Tickets for the Farm Aid 2017 concert sold out on the first day of sales, nearly three months before next month’s concert to be held on September 16 at Burgettstown Keybank Pavilion (formerly known as First Niagara Pavilion and originally Coca-Cola Star Lake Amphitheater) near Pittsburgh. The open-air pavilion will host over 23,000 fans (7,100 reserved seats and an additional 16,000 on a general admission lawn). Ticket resellers are currently offering lawn seats for more than $200.00. But fans who missed out on obtaining tickets will be able to watch a live webcast stream and as the concert date approaches, details will be posted on farmaid.org. Since 1985, Farm Aid has raised more than $50 million to help family farmers thrive all over the country as well as energizing the good food movement. 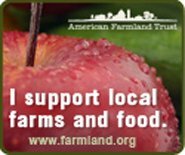 Farm Aid’s online Farmer Resource Network connects farmer to an extensive network of organizations across the United States that help farmers find resources to access new markets, transition to more sustainable and profitable farming practices, and survive natural disasters. As we have often noted, at the beginning of the 20th century, 50% of the U.S. workforce was in farming, today it’s less than 2%. Next month’s concert near Pittsburgh is, once again, a time to offer praise for the hard-working 2% (which includes an increasing number of small farmers who grow our food with a commitment to a sustainable agriculture that cares for people and community-building, animals, land and water, especially the farmers committed to community supported agriculture, which we promote on this website). Kudos to Farm Aid and Homegrown.org which provide hope for the future of the American family farm, and to the musicians and performers who have donated their time for this year’s Farm Aid concert.